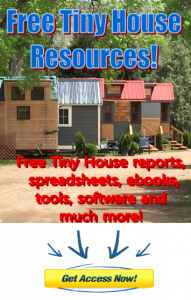 If you have yet to get caught up in the Tiny House movement and want to know what all the fuss is about, let me share with you in the following videos what exactly the Tiny House movement and Tiny Home Living is all about. Tiny Home Living Defined – What is a Tiny House? But does Tiny Home Living mean that I would have to cut back, settle and live less? More on the Tiny House Movement – Is Tiny Home Living for you? Do you think tiny home living is for you? It’s not for everyone, that’s for sure. So now what do you think? If not, let me know in the comments down below so I can try to fill in any remaining gaps. Maybe its for you, maybe it’s not. Maybe its for you just not right now. Maybe you know someone who this would be GREAT for (share this with them if you do!). Either way, whatever way, I’d love to hear your thoughts and opinions on this cool trend (not a fad – it’s here to stay!). I appreciate you and look forward to reading your comments down below!